Reach the most influential audience on Broadway. BROADWAY BRANDS delivers the most vital information to Broadway’s most influential audiences. 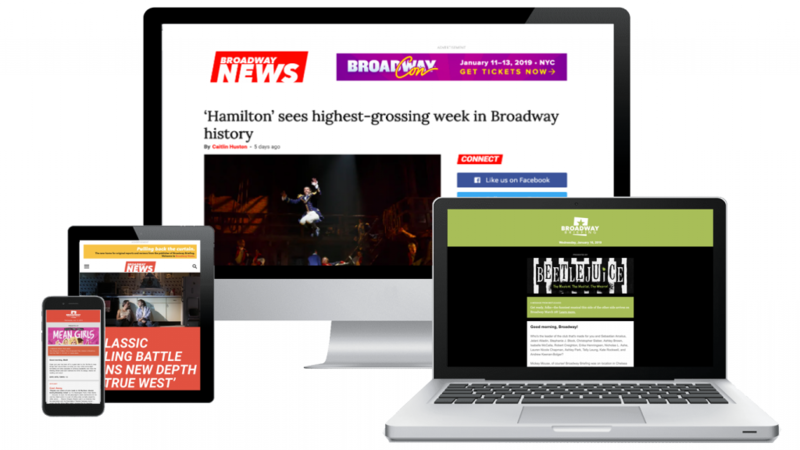 Connecting to our unique and dedicated readership through Broadway Briefing and Broadway News creates unparalleled advertising and sponsorship opportunities for shows and organizations seeking to reach the most influential players and thought leaders in theater (who are, after all, Broadway’s biggest fans, too). View 2019 Awards Season Advertising Opportunities.